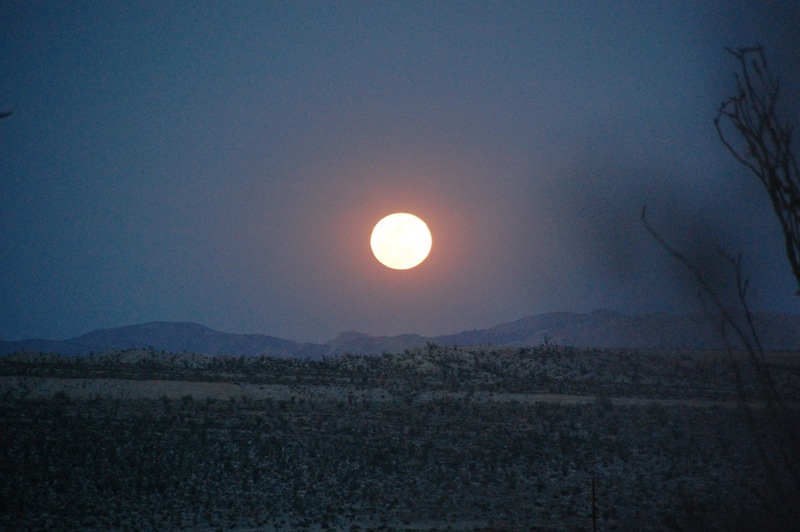 This moon is also called the Snow Moon* because it usually occurs during the snowiest month of the year, but in San Diego, we just had the hottest February since records began in 1874. 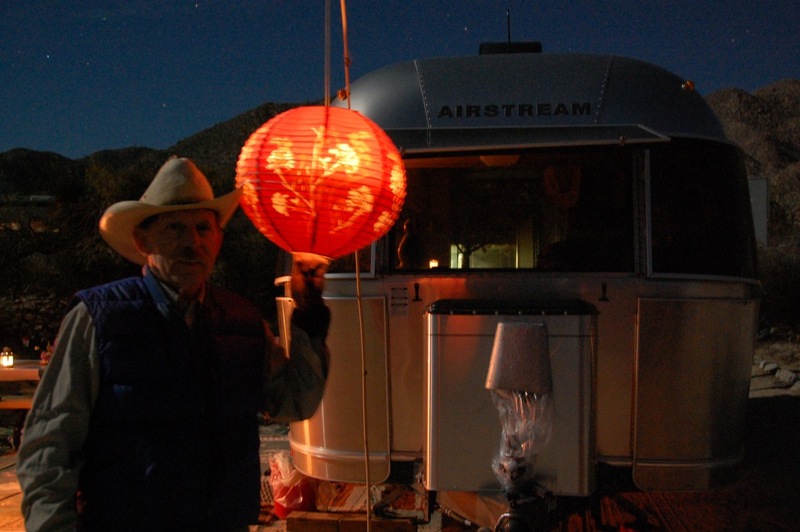 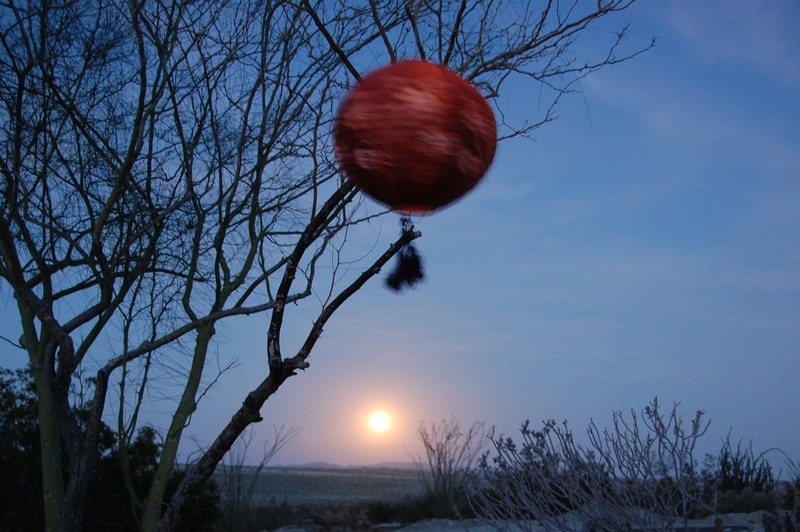 Here in the desert, we experienced comfortably warm, sunny days, and cool, clear nights that were perfect for celebrating the Chinese Lantern Festival* as we did last year at this site, except this time, we suspended a large paper Chinese lantern with string attached to a long bamboo stick from our garden. 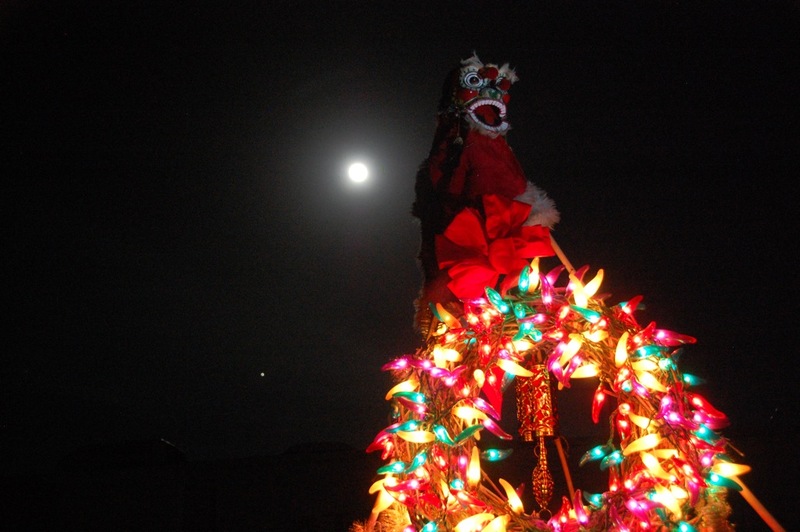 while our Chinese lucky lion* looked on and laughed (perhaps regarding the Year of the Monkey political predictions)! 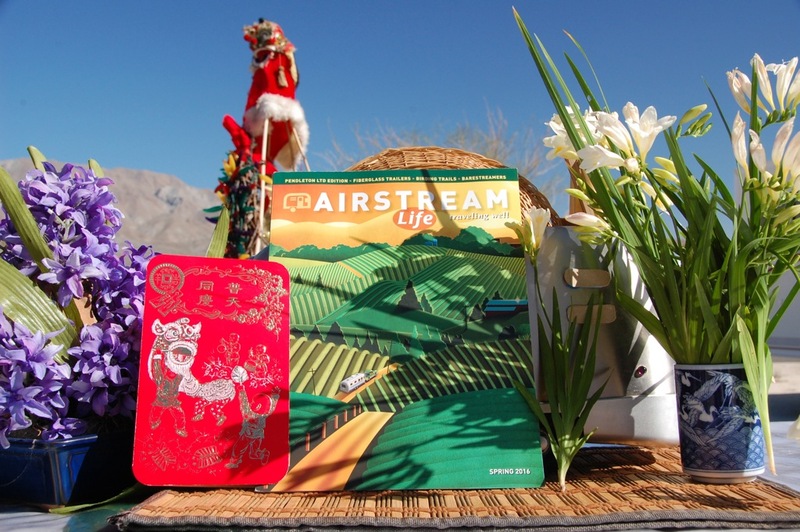 The Chinese New Year* is also known as the Spring Festival,* and this year, it felt like spring arrived early at our campsite, especially with freshly cut Freesia flowers that Larry brought from home. 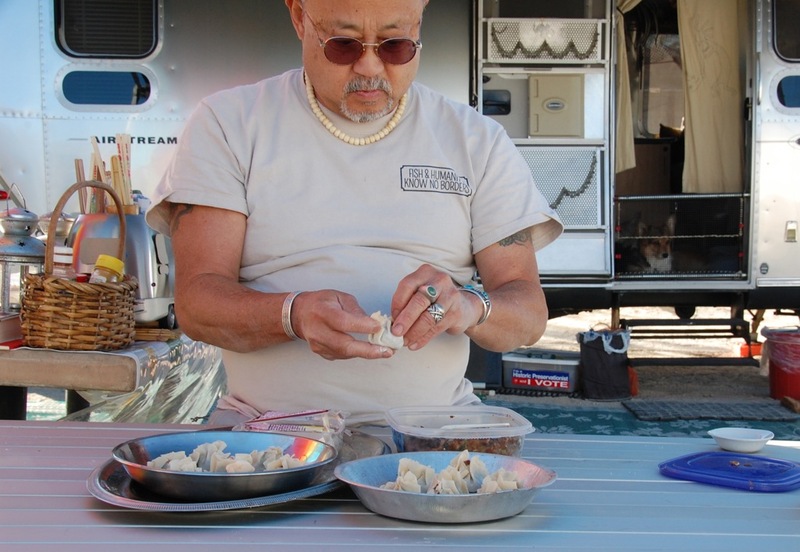 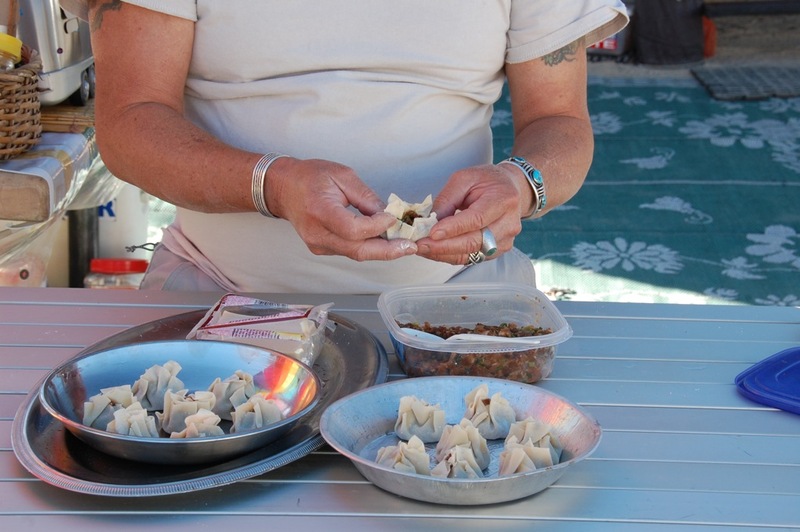 Larry also brought a pork and mushroom mixture that was placed in dumpling wrappers to make siu mai,* which were then steamed. 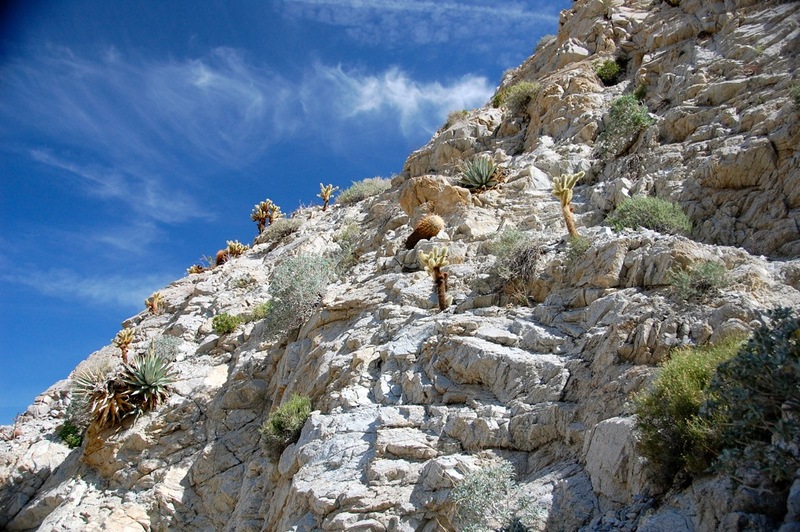 Recent rain and warmer temperatures have brought new growth and flowers to Agua Caliente’s Moonlight Canyon flora. 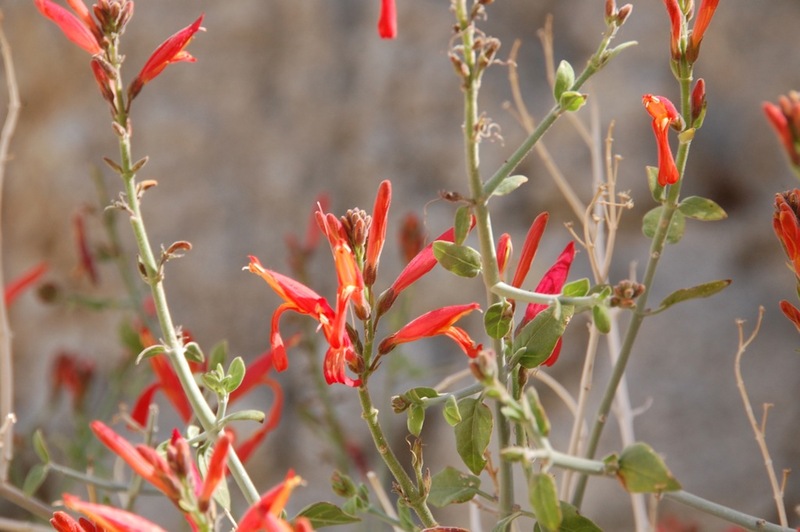 Swaths of red were seen across the desert due to prolific chuparosa, Justicia californica, blooms. 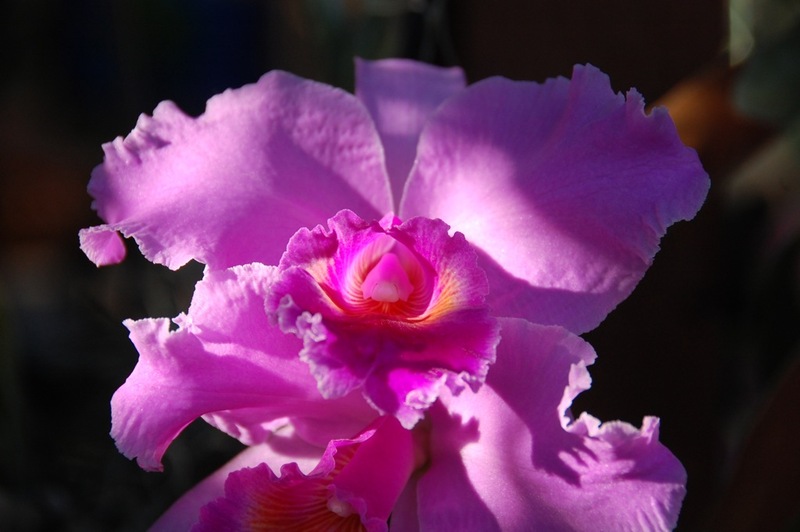 And a beautiful and fragrant Cattleya bloom greeted us upon arrival home and seemed to announce the arrival of spring!